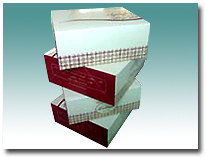 Manufactured all types of corrugated boxes, die-cut boxes, printed boxes from corrugation of AF, BF, BAF and EF. 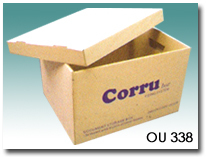 Complete range of documents filling boxes to keep your old documents in proper and easy to find whenever you need. 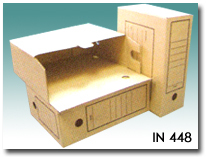 An Inner Box designed to keep at least 700 copies of your documents in each box. 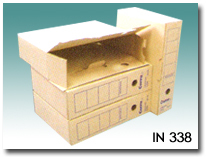 An Inner Box designed to keep at least 1,000 copies of your documents in each box. Multilayer corrugated paper pallet designed with quality to take heavy loads and environmental friendly for an option to substitute for wood and plastic. 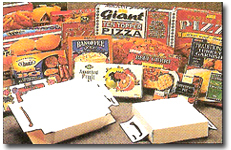 Custom-made presentation boxes from board to laminated e'fulte to suite your packaging needs.